Sure, a little black dress or something sparkly is always in during party season, but who says holiday dressing has to be so cut-and-dried? This season, take a style cue from Sonya Esman of Class Is Internal as she welcomes the most festive time of year with a new style MO. Esman took inspiration from Diane von Furstenberg’s holiday collection and proves that fashion myths are definitely meant to be broken—especially during the holidays. Scroll down for five fashion myths to break this holiday with DVF. It’s always good to downsize when you can, and if you’re already planning to use a smaller bag for a night out, why not just use it during the day too? It’s an easy way to transition a look and stay extra polished—and festive!—during this time of year. When it comes to dressing, sometimes less really is more. “The polka-dot print not only reminds me of the 1920s classic version of Minnie Mouse, but the print just screams modern elegance to me,” explains Esman. Not much more is needed, in terms of accessories, if you’re going for a loud print or pattern that speaks for itself. 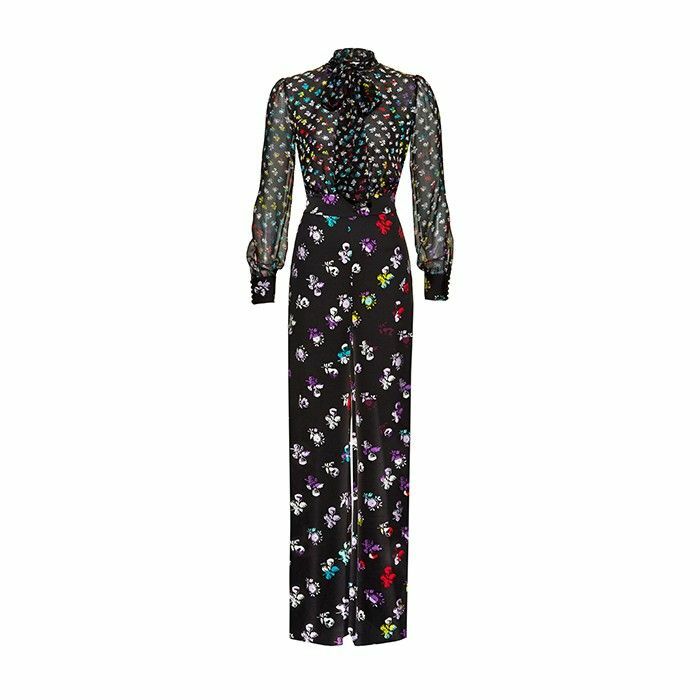 “This killer floral DVF jumpsuit is so easy to wear because I don’t have to worry about accessories or styling; it truly takes all the work away,” says Esman. What style myths do you plan on breaking this holiday season? Share in the comments below!